Unlike the other pastors at NCFC, Pastor Brian is the only one who is a “PK” – Pastor’s Kid. This is especially evident in his love for people and ministry that has been a part of his life since he was a young man. 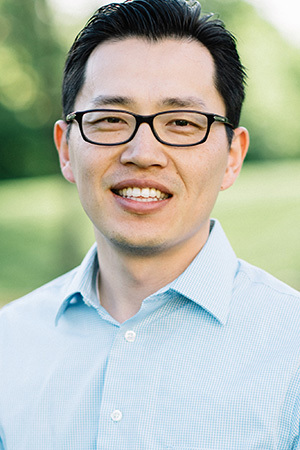 After immigrating to Frederick, MD from South Korea in 1996, he spent some time adjusting to American country living which was quite different from Korean country living (feel free to ask him about the joys of indoor plumbing). Shortly after adjusting to his new life, he received God’s calling to full-time ministry during a short-term missions trip and his life has never been the same. He began his pastoral journey at NCFC in 2005 as a pastoral intern for the youth group at NCFC’s MD campus. Since then, he has served in several ministries both inside and outside of the church, as well as the Virginia campus of NCFC which he joined in 2007. After rejoining the Maryland staff in 2015, he has continued being the most versatile pastor on staff. His roles have included worship leader, youth pastor, young adults pastor, and official one-man Yelper for Korean snacks. He graduated from Washington Bible College in 2005 and received his Masters of Arts in Christian Counseling and Discipleship from Capital Bible Seminary in 2007. Pastor Brian and his wife, Katelynn, have two beautiful children, Reina and Ryan, who Pastor Brian is always stealing snacks from.